Don't let your party be a flop!!! We'll be your Ace in the Hole!!! At Ace in the Hole we provide Vegas style casino parties for any occasion! Are you searching for an exciting twist to your company holiday party? Want a FUN idea to raise LOTS of money for a fundraiser? Planning a bachelor or bachelorette party? Look no further, we've got you covered! We are a great option for any occasion you are looking to add an element of fun to, birthday parties, proms, graduation parties, whatever your entertainment needs may be, we would love to be a part of it! We offer a full service casino entertainment party. We have professional style tables and dealers. Our dealers wear tuxedo shirts, black slacks, black shoes and bow ties. 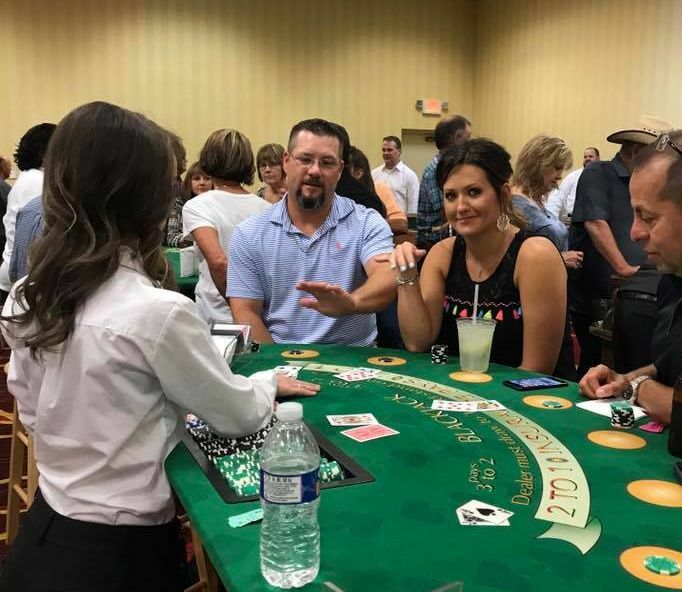 We have everything you need for the casino aspect of your party, cards, tables, dealers, professional style clay chips, raffle tickets if needed, even a pit boss! Our prices are based on three hours of dealing cards. We set up before your event, and tear it down as soon as we are done dealing. We have the best equipment in town! And a great pride of ownership. We are located in Lubbock, Texas. With a five table minimum, we will travel out of town if the distance is no more than 3 hours from Lubbock. There is an additional charge for out of town parties. While we are a casino entertainment business, we do not deal any games for cash. This is for entertainment only. If your group would like to provide prizes for the top winners, or hand out tickets for chips towards a raffle at the end of the party, that is PERFECT! Our costs are very comparable to other casino entertainment companies in our area, with one major difference. We have a standard, per table, cost that will not vary. Others companies charge separately for everything, tables, dealers, set up, tear down, our prices include everything! What you see on your invoice is what you pay! 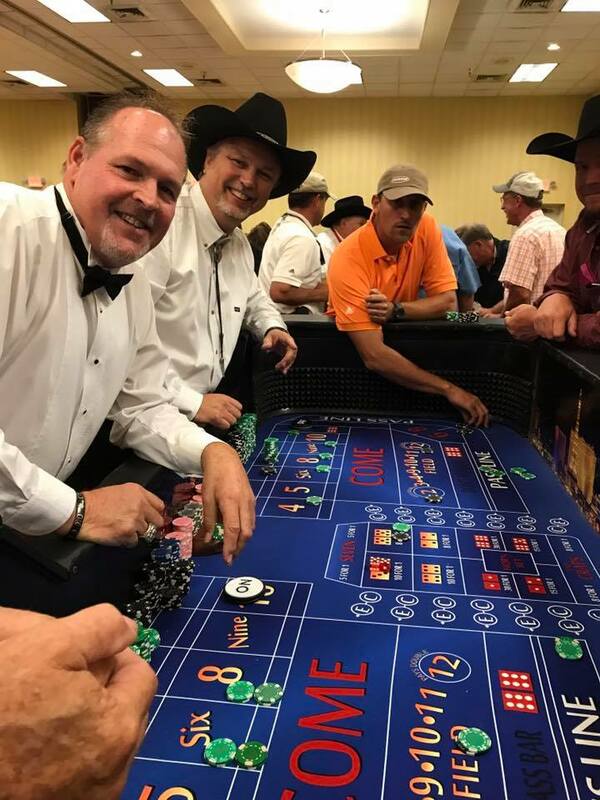 With Ace in the Hole Casino Parties, you are getting the best casino entertainment group that Lubbock has to offer, with hands down the top quality equipment! We accept cash, check or credit and ask for a 25% deposit up front. If you are paying with credit card, there will be a 3% surcharge, as that is what the bank charges us. Have questions or Ready to book your event??? Or call Justin@ 832-876-0776, or Tracy @ 832-235-5733.